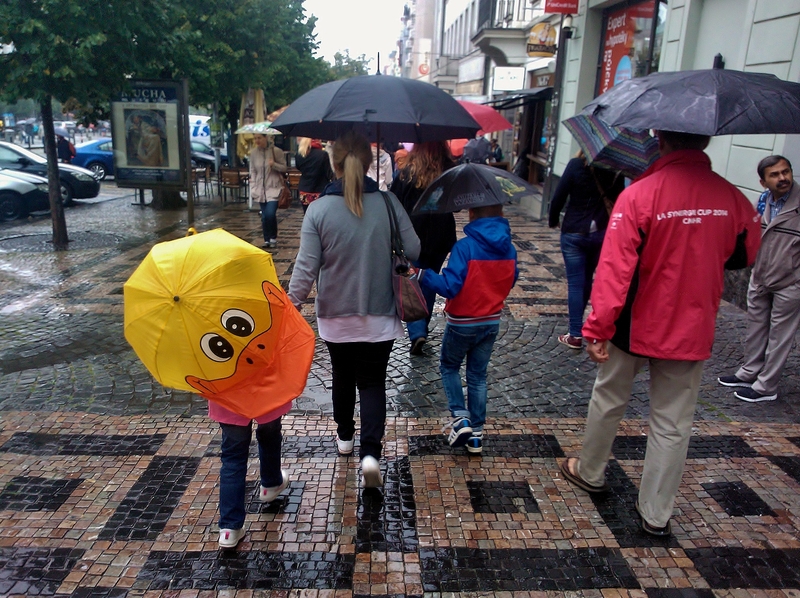 This entry was posted in Life/Photography and tagged Child, City, Czech Republic, daughter, Day, Duck, Face, Girl, happy, mother, pedestrians, Photography, Prague, precipitation, rain, rainy, Sidewalk, Street, Umbrella, Weather, wet. Bookmark the permalink. A good way to duck the rain! Aww – a little ray of sunshine! Thank you very much! I agree. :-) Serendipity. :-) Cheers!